Huntsman Corporation (NYSE: HUN) trades at an EBITDA multiple of 7.4x, which is lower than the Materials sector median of 9.9x. While this makes HUN appear like a stock to add to your portfolio, you might change your mind after gaining a better understanding of the assumptions behind the EV/EBITDA ratio. In this article, I will break down what an EBITDA multiple is, how to interpret it and what to watch out for. An EBITDA multiple is not meant to be viewed in isolation and is only useful when comparing it to other similar companies. 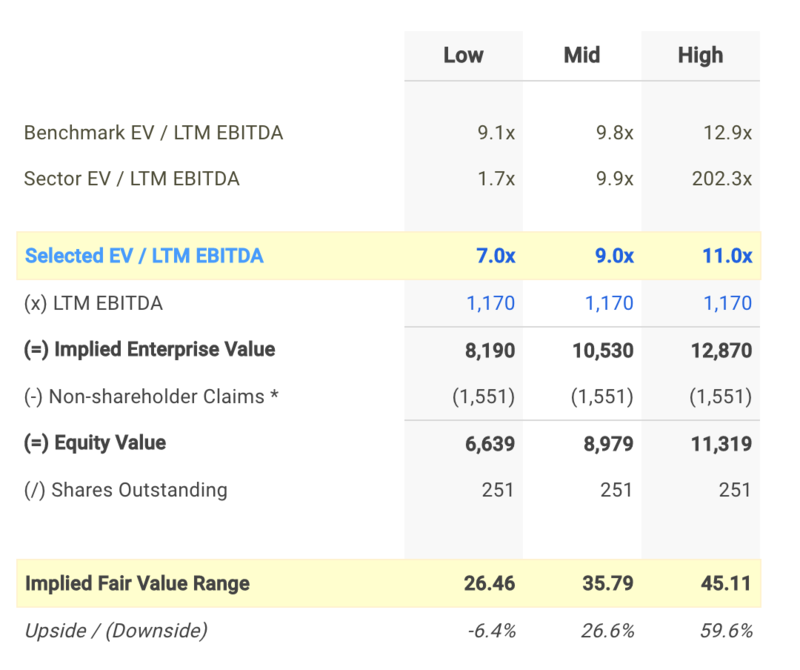 Since it is expected that similar companies have similar EV/EBITDA ratios, we can come to some conclusions about the stock if the ratios are different. 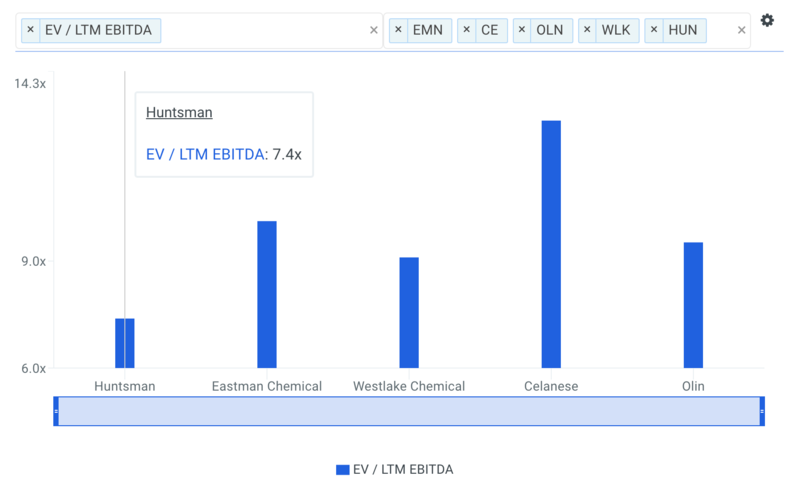 I compare Huntsman's EBITDA multiple to those of Eastman Chemical Company (NYSE: EMN), Westlake Chemical Corporation (NYSE: WLK), Celanese Corporation (NYSE: CE) and Olin Corporation (NYSE: OLN) in the chart below. Since Huntsman's EV/EBITDA of 7.4x is lower than the median of its peers (9.8x), it means that investors are paying less than they should for each dollar of HUN's EBITDA. As such, our analysis shows that HUN represents an undervalued stock. 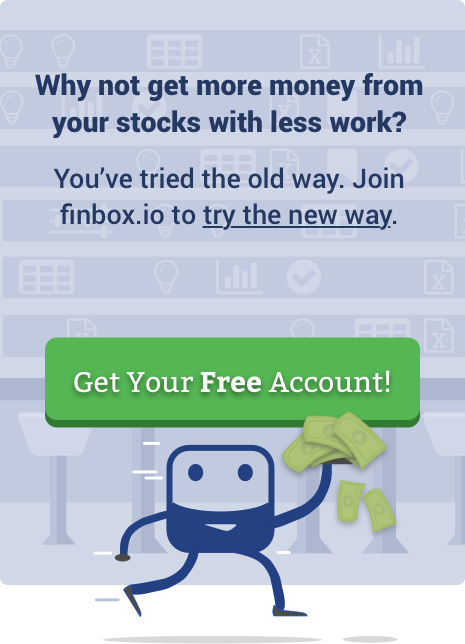 In fact, finbox.io's EBITDA Multiples Model calculates a fair value of $35.79 per share which implies 26.6% upside. Note that the selected multiple of 9.0x in the analysis above was determined by averaging Huntsman's current EBITDA multiple with its peer group and sector. Before jumping to the conclusion that Huntsman should be added to your portfolio, it is important to understand that our conclusion rests on two important assumptions. If the first assumption is not accurate, the difference in EBITDA multiples could be due to a variety of factors. For example, if you accidentally compare Huntsman with higher growth companies, then its EBITDA multiple would naturally be lower than its peers since investors reward high growth stocks with a higher price. Now if the second assumption does not hold true, Huntsman's lower multiple may be because firms in our peer group are being overvalued by the market. Efficiency Metrics: is management becoming more or less efficient over time? Find out by analyzing the company's asset turnover ratio which measures the dollars in revenue a company generates per dollar of assets. Risk Metrics: what is Huntsman's cash ratio which is used to assess a company's short-term liquidity. View the company's cash ratio here. 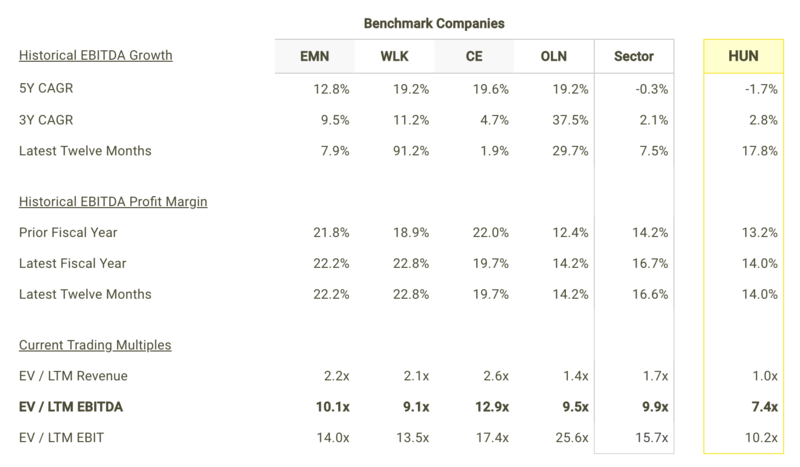 Valuation Metrics: what is Huntsman's free cash flow yield and how does it compare to its publicly traded peers? This metric measures the amount of free cash flow for each dollar of equity (market capitalization). 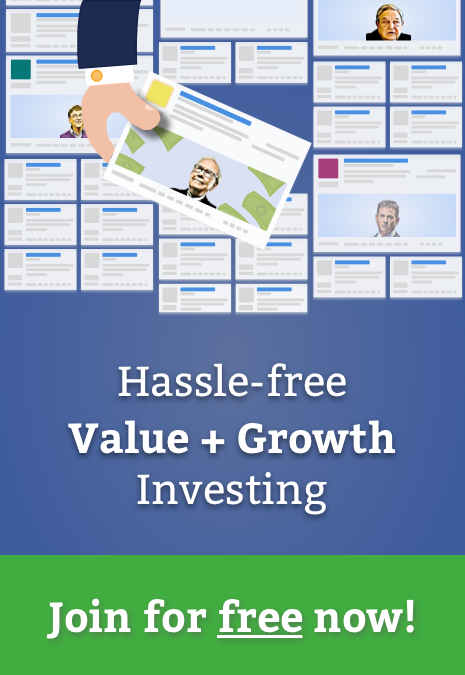 Analyze the free cash flow yield here. Next story What Stocks Are Inside Clifton Robbins' $2.8 Billion Portfolio?